One of the biggest dance festivals in Europe begins in earnest this Friday as Tomorrowland kicks off in Boom, Belgium. Boom is easily accessible as it is sandwiched right in between Antwerp and Brussels so getting to the festival should not be too much of a hassle. 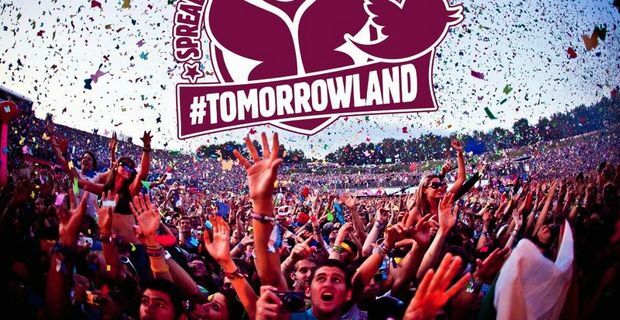 Tomorrowland will see more than 180,000 spectators attend and have the time of their lives. The electronic festival is celebrating its' 10th year this time around so expect everybody to be in celebratory form as the atmosphere is expected to be absolutely electric. The world's best DJs and artists will congregate for two incredible weekends. The first weekend runs from the 18th to the 20th of July while the following week will see all the electronic magic happen again to cater for another batch of fans on the 25th, 26th and 27th of July. This year's lineup includes Skrillex, Benny Benassi, Wolfpack, Dirtyphonics, Roger Sanchez, Mystique, Tiësto, Pretty Lights, Will Sparks, Ghost and Skazi. Heavyweights David Guetta, NickyRomero, Paul Van Dyk, Carl Cox, Paul Oakenfold, Armin Van Buuren and Skream will also be on hand to get the crowds moving. To keep up with all the news and events happening in and around the festival you can download the official Tomorrowland app which is available on Android and iOS devices. The app will make it easy to plan your attack on the festival as it allows you to view the complete line-up with times and a floor plan to boot.